2018 Show Pig Orders Due! Stop by Kissimmee Valley Feed at 1501 Eastern Ave, Saint Cloud, FL 34769, to place your 2018 Show Pig Orders. Each order requires a $100.00 deposit with the remaining $140.00 due at the time of pick up. 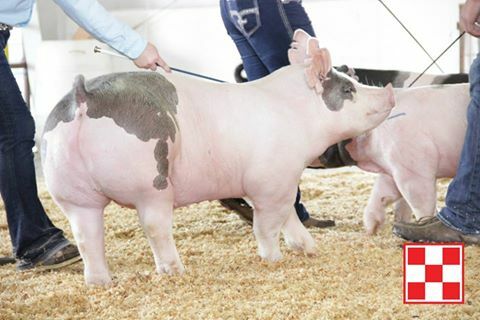 The deadline to reserve your Show Pig order is Tuesday, October 3, 2018. Receive a FREE bag of SunGlo or Purina Show Chow Pig Feed with the purchase of each pig! This is a great way to get your show pigs started! The pigs will be delivered to the store (1501 Eastern Ave, Saint Cloud, FL 34769) at 9:00 am on October 6th. Watch your email or our Facebook page for further details on delivery and pickup. Have a question, give us a call at 407-957-4100. Good luck to all our show pig kids this year! This entry was posted on Sunday, September 9th, 2018 at 5:32 pm	and is filed under News & Updates. You can follow any responses to this entry through the RSS 2.0 feed. You can leave a response, or trackback from your own site.